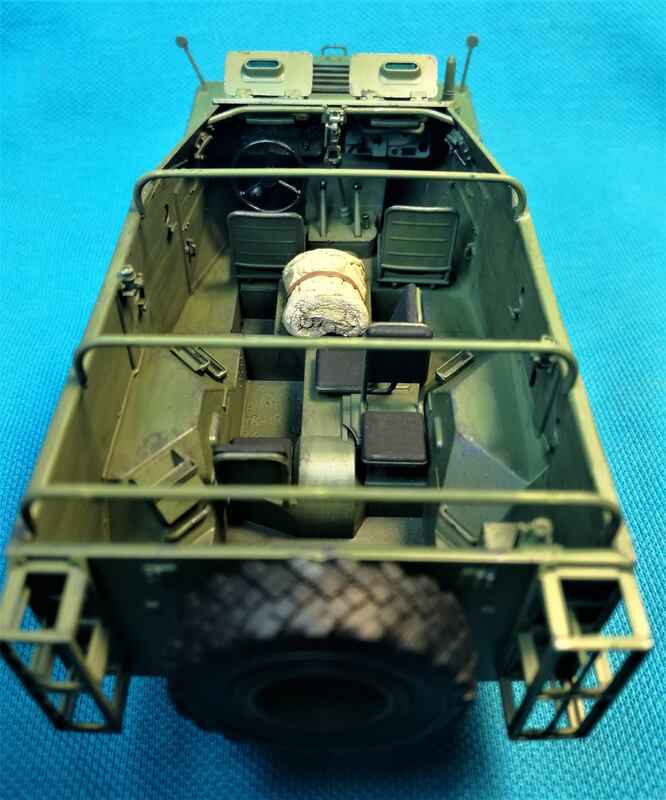 Everything went together well enough, the wheels all touch ground, but (unusually for Revell) there was a bit of a Dragon moment with parts for the front steering linkages misnumbered. I wish my presence to this build was more consistent, but the situation with the internet services is still catastrophic in Sint Maarten after passing of Hurricane Irma and I have very little internet time. I apologize for late posting and updating. Angel, Thank you. Nice information on Steyrs. Strangely enough, in the neighboring Romania, we never heard of Steyr other than Mannlicher! Peter Certainly is a big fish this M35. With 12 tonnes weight and more firepower than a Pz. II, it reminds me more of a WWI German tank. Thanks for your help, mate! Yes, production year 1941 qualifies the vehicle as an early war one and I will follow your advice: grey both sides! I'm gonna add some extra markings though. Tim, that is a very nice choice. I have that kit waiting for its turn and I must say it looks very good in the box! I decided to replace the kit's jerrycans with Tamiya old stock. the reason why is because on the kit's ones it reads "Wasser" and I doubt Prinz Eugen were there in humanitarian mission. I went for fuel jerrycans instead, but... surprise! Tamiya ones are fatter than Hobby Boss ones. i decided to trade them again, this time with ones I took from a Bronco fuel trailer. Even those fit very tight, but with some pressure it worked out the way I wanted. Since I decided to paint the inside of the lovers gray, I found time has came to button up the body shell. ... and that didn't went well. I have notices a slight warping of the rear section of the upper half of the body, but I thought the plastic is thin enough to allow re-shaping. Unfortunately I didn't think of the doors and I glued them in place to early. when I tried to force the halves gape less, the doors bulged out. With the hindsight, I should have added the doors last, eventually sanding the edges to ensure proper fit. Once everything properly glued, I filled the gaps with Tamiya white putty and sanded down. While waiting for glue to set, I start preparing my paints. I choose to follow the "enamel way" because for sure more sanding is involved. Thank you, guys, for your patience! Revell kits are always a challenge. You are off to a good start. 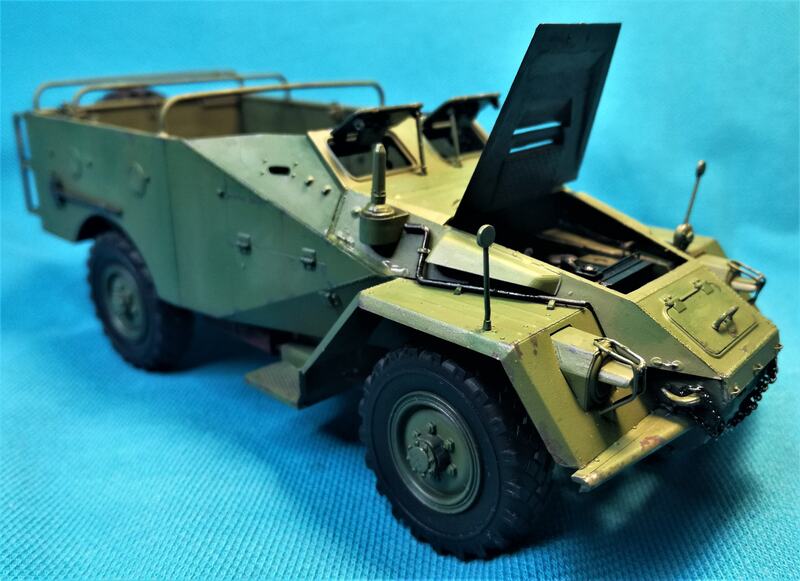 I finished assembling the Sd.Kfz. 222 Leichter PanzerSpaHWagen 4/4. There are a few parts that won't be attached until the paint goes on. Here are a few progress photos. This is my first wheel vehicle assembly. I believe I should be glad this was a Tamiya kit, as it went together with no fit issues at all. Will post new photos after the paint job. This kit is number 6 in line at the paint booth. Nice work Richard if all 8 wheels touch the ground. That is usually a hurdle for a lot of modellers. Looking good Gabriel. I find HB kits do tend to have some warping between hull halves, but you seem to have sorted that out. They can be hit or miss. 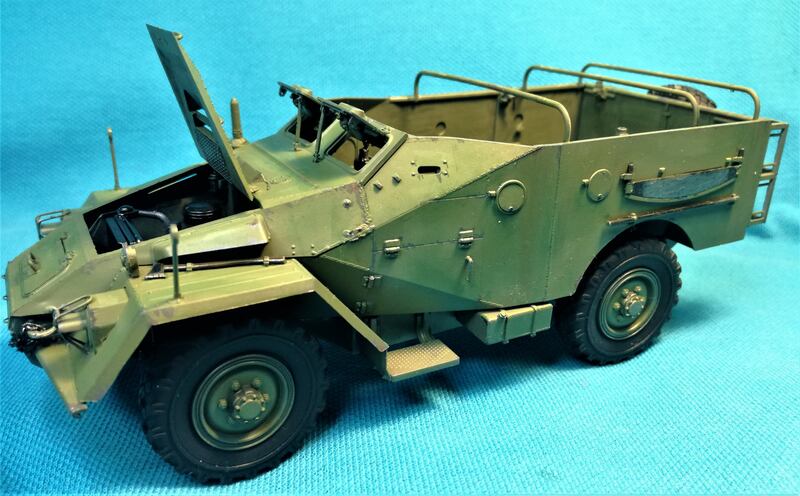 I built their SdKfz 254 and had similar issues. Another issue was the opening for the side visor panels was the same size as the visor itself, so it swung feely inside and out of the vehicle and were a bit warped too. I had to line the inside with styrene strip so they could be glued flat to the hull. Peter, Thank you! My only previous experience with HB was Sourcouf 1/350 which went impeccable; Recently I completed their 1/48 IAR80 - again almost flawless. This is the first one to give me some trouble, but as one who once have finished Zvezda's SdKfz 251/1 Stuka zu Fuss, I still consider myself lucky with HB kit . Mark, nicely done. Yes, old good Tamiya. Always a joy to build it. I sort of miss their soft-skins. Gabriel, the Zvezda Stuka Zu Fuss...... The original release or the revised one? If the original, I am surprised you didn't use the exacto on your wrists like a lot of modellers with that kit have done. I did some research and found a very valuable dozen of wartime pictures with ADGZ, but I cannot find this particular one, used by Prinz Eugen. All I can find is the color profile. I'm already in the final detailing stage and any help will be useful. I will look through it tonight for any photos of this vehicle to help you. Thanks for posting the pics Tim. There are some great shots here especially the one of the vehicle taken from above; a rare one showing the rear faces of the louvres which seems to confirm a dark colour rather than white. Gabriel, the panzer grey choice seems to be supported. Tim, superb photos on the site link. Which confirm my fear: the lightguards were pentagonal type; the kit offers only two versions of rounded ones. And the unit marking should be on the turret, in front of Balkenkreutz; perhaps two on the mudguards as well (rear and front). Peter, indeed, you were right and I'm glad I took your advice. I forgot to mention that it looks like the inside of the driver's and co-driver's hatches are white. The inside of the doors look gray. Tim, superb photos on the site link. Which confirm my fear: the lightguards were pentagonal type; the kit offers only two versions of rounded ones. 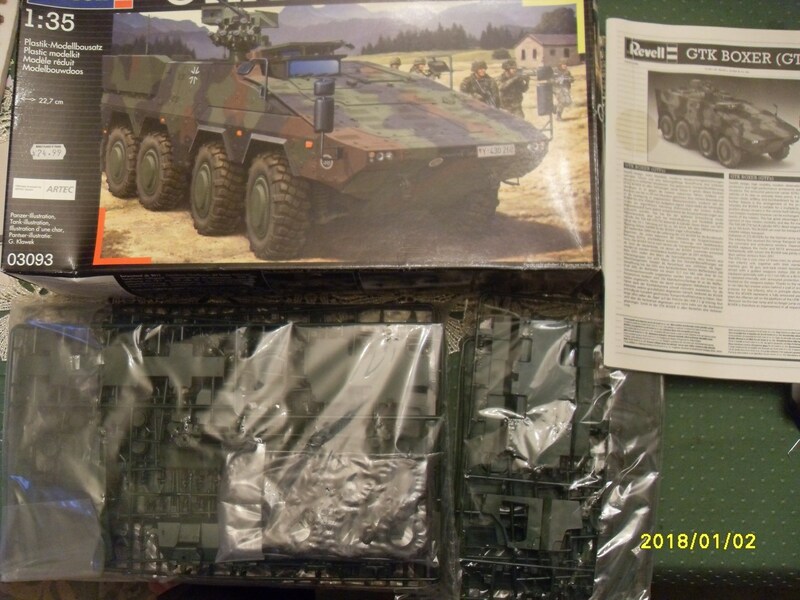 Hobby Boss do 2 versions of the ADGZ, the Daimler made one that your kit is, and another representing a Steyr built ADGZ. Tent and chain were added by me. Thanks for the wonderfull Campaign experience. Tim, thanks a lot. Now it's clear that I have the wrong car and the wrong color scheme. Your photos are landing at the very right moment; I nearly reached the point of no return (see infra). Peter Thanks for clarification. HB were just too lazy to print another paint guide. Yeah! I see now the boxes under the body are "standard" Steyr. I thought at first they're field improvisations. Angel Congrats for finishing the build! as a matter of fact, I like "clean models" myself. Nice job! I'm developing myself a peculiar interest on Prinz Eugen since this build. I found out that their commander Arthur Phleps is the highest ranking Romania born volunteer in SS. Just as curiosity, his last task was to defend my father's city of birth - Arad. I think he was dead already by the time of battle of Nis. You're bringing up always nice information for which I'd lie to thank you. 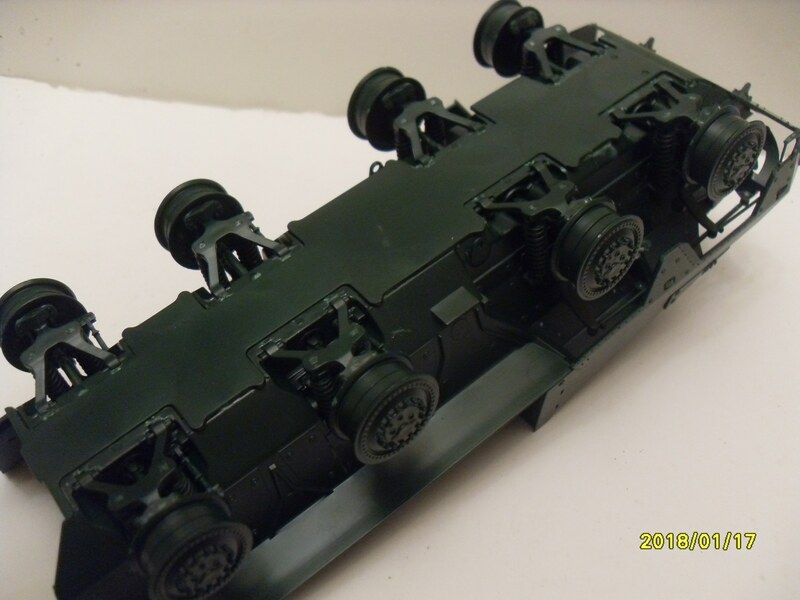 I painted also the suspension and transmission elements - It just didn't feel "right" to have them Panzergrau (no picture yet). I have now to turn back to my initial plan, to make a Daimler ADGZ (I was not aware of the differences). Fortunately, this implies just a little sanding and re-spraying of Panzergrau overall. Thank you, guys, your help was really decisive. Here is the progress on my Tamiya's 222. This thing built very fast. I forgot to take some construction photos until I started painting. I am going for a early North Africa look, sand color wearing off over German Grey. Only a little speed bump Gabriel. You can put the foot down again now Plan B is in play. Tim, very attractive! I'm gonna do one of those for sure - you whetted my appetite! Peter, not big deal, indeed! Thanks for encouragement! Mannlicher was the main firearm of the Bulgarian Army in both World Wars, later it was stored in reserve. You are right about Artur Phleps beeing already dead at the time of Nish fighting. It was Otto Kumm as Comanding General 7th SS Volunteer Division PE, who took a hell of a licking. On a side note- sometimes I cannot see the pictures you post. Pitty for me as I like your build!